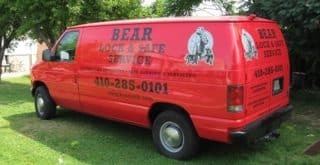 Bear Lock & Safe Service is a mobile locksmith in Maryland. We are a fully licensed and registed locksmith in Maryland. We work on commercial locks, commercial keys, commercial doors, and safes.